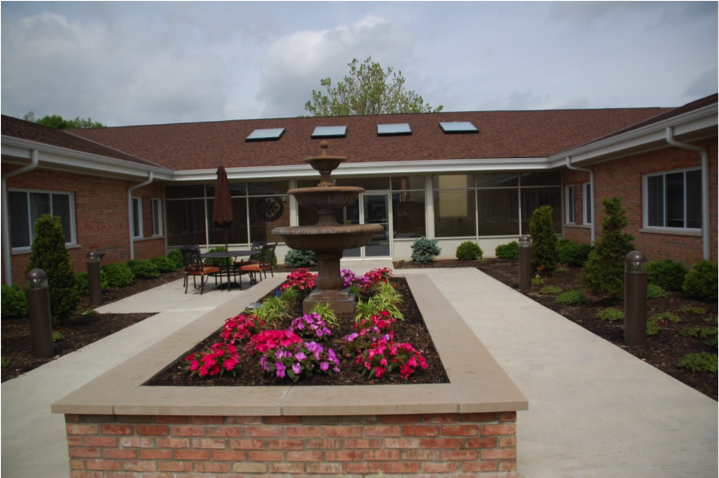 St. Paul Village is a 103-unit building in the Madisonville neighborhood of Cincinnati that provides affordable housing for elderly individuals and households. Built in the late 1970s as Section 236 housing, the 30-year-old property initially contained 82 efficiency units and 42 one-bedroom units. It had physically deteriorated over time, however, and it had struggled to find renters of its efficiency units. The building typically had 30 vacant smaller units at any given time, and consequently was unable to generate the cash flow it needed to remain financially viable. Jay Kittenbrink, the Executive Director of Development for Episcopal Retirement Homes, the property owners, had been trying unsuccessfully to refinance the property for five years. Thanks in part to the passage of the American Recovery and Reinvestment Act of 2009 (ARRA), ERH was able finally to refinance the property in 2009-2010. The process was extremely complicated. The organization pieced together $2.8 million of ARRA funding as well as IRP Decoupling funds, equity associated with 9% Low Income Housing Tax Credits, HOME funds from the City of Cincinnati, HUD Market-to-Market monies, a new 20-year HAP agreement, and 25 project-based vouchers from the Cincinnati Housing Authority, among other sources. Mr. Kittenbrink has taken four NDC courses and is a certified Housing Development Finance Professional. He credits NDC training with helping him understand project pro formas and the nuances of structuring residential transactions. His expertise and the capital they acquired enabled the organization to carry out a comprehensive rehabilitation of the property. Of the current tenants, 36% have incomes at or below 50% of the Cincinnati area median, and another 57% have incomes between 50% and 60% of the area median. After years of operating deficits, the building now generates positive cash flow while still maintaining its effectiveness as affordable housing. Jay recommends NDC Training to others, especially those who are relatively unfamiliar with the dynamics of affordable housing projects. Coordinating the refinancing and rehabilitation of St. Paul Village was especially gratifying to him, as his father had helped develop the building in the late 1960s. He looks forward to the property being even better for the next 30 years.